We are so excited to finally announce the release of Fog Breaker IPA, a San Francisco IPA bursting with fresh pine and juicy tropical hops. Inspired by the brewery’s fog-busting location in San Francisco’s Potrero Hill neighborhood, Fog Breaker IPA bottles up this sunshiny brightness with handfuls of hops. Fog Breaker IPA, with its distinctly fruity aroma and assertively bitter taste, is a hoppy, yet crisp and refreshing addition to Anchor’s portfolio. Its intense aromas of ripe pineapple, melons and resinous pine are derived from essential oils in Citra Cryo hops, as well as whole-cone Denali and Cascade hops. Brewed with malted wheat and 2-row pale malt, the IPA’s bitterness is balanced with hints of light biscuity malt flavors and a smooth effervescent mouthfeel. The sunny inspiration behind Fog Breaker IPA is evident in its appearance—a bright, golden straw-colored body with a lasting creamy head. It’s a thirst-quenching, fresh brew that puts a San Francisco spin on an American IPA. 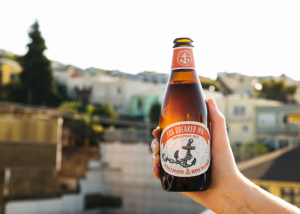 Fog Breaker IPA is another first for Anchor; the first beer exclusively developed at Anchor Public Taps’ pilot brewery that has been moved into full-scale production. Located just across the street from the brewery, Public Taps is a pilot brewery and bar that serves as a gathering place for locals and visitors seeking a one-of-a-kind San Francisco experience. Public Taps is home to The Potrero Project—a collection of beers brewed at the pilot brewery for guests to enjoy on tap at the bar and share feedback with the Anchor crew. Fog Breaker IPA evolved from The Potrero Project, quickly becoming one of the most popular beers served there this year. With all the positive community feedback, the brewing team decided to expand production of this IPA from Public Taps’ pilot brewing system to the main brewery across the street. 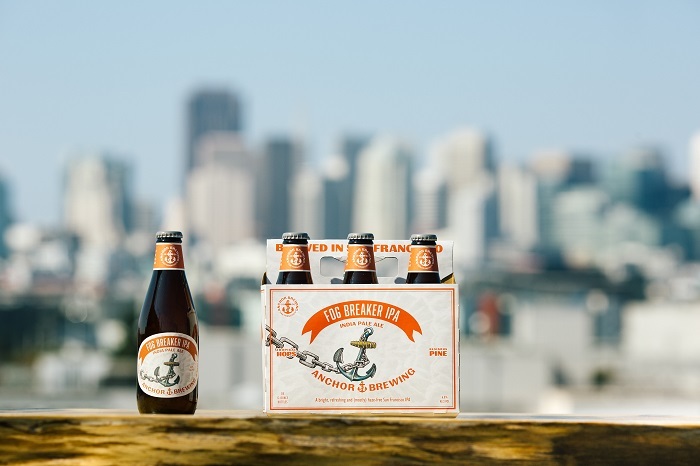 Find Fog Breaker IPA near you by using the Anchor Beer Finder. That hop selection blends well together. Cheers!